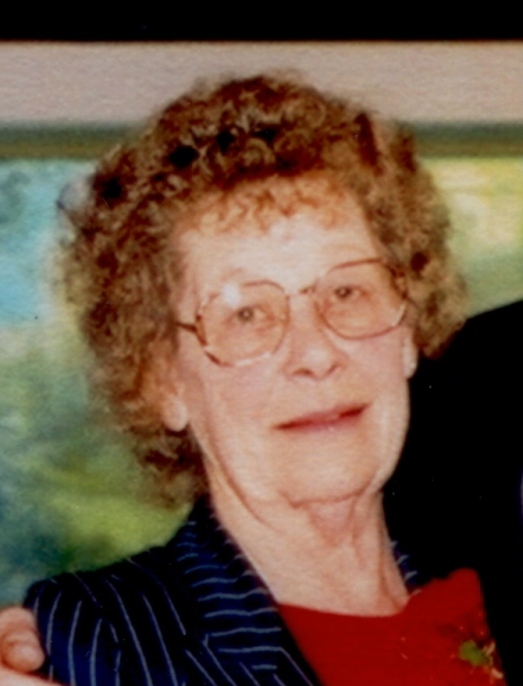 Betty R. (Turner) McGuirk McNeece, age 80 years, 9 months, and 8 days, died Sunday, May 22, 2011 at Community Springs Nursing Home in El Dorado Springs, Missouri, after a short illness. She was born August 14, 1930, in Cedar County to Otis L. Turner and Gracie Pearl Taylor. Betty was united in marriage to Kenneth McGuirk on May 31, 1947. To this union, three children were born, Judy Kay, Doris, and Kent Ed. Betty worked at numerous jobs before her ownership of Betty’s Drive-In where she worked until her retirement. Betty was saved at Old Union Missionary Baptist Church as a young woman. Some of her greatest joys were her flower gardens, her children, and her children’s families. She was preceded in death by her husband, Kenneth, her parents, her sisters, Louise Gunier and Paula LaGrande, and one brother, John Dee Turner. On May 27, 2003, Betty married Donald McNeece. Survivors include her husband, Donald McNeece of the home, her children Judy Kay and Paul Reeves, Doris and Wendell Allen, Kent Ed and Judy Faye McGuirk; her grandchildren, Brent and Belinda Greenstreet, Crystal and Ronn Whitaker, Stacy and Kevin Fast, Dustin and Angie McGuirk, Denise and Mike Cartwright, Erick and Tiffany McGuirk; her great-grandchildren, Nicole and Brad, Lisa and Cody, Brendan and Kade; Zachary, Madison, Ashlie, Bradley, and Cailey; Jaden, Kandon, and Kyson; three sisters, Shirley and Elvie Mauck, Burnetta and Leon Jones, Carol and Richard Griggs; one brother, Vance and Nancy Turner; four step-sons, Perry and Tina, Frank, Doug and Kristin, and Donnie and Lisa, eight step-grandchildren, and numerous other relatives and friends. Visitation will be from 6 p.m. to 7 p.m., Tuesday, May 24, 2011, at Bland-Hackleman Funeral Home. Funeral services will be at 10 a.m., Wednesday, May 25, 2011 at Bland-Hackleman Funeral Home with interment at Clintonville Cemetery under the direction of Bland-Hackleman Funeral Home with Bro. Ralph Benham officiating. Music will be provided by Tiffany McGuirk. Pallbearers will be Chuck Walters, Tony Van Dyke, Jim Chism, Dwain Witt, Ed Nelson, and Scotty Scott. Honorary pallbearers are Brent Greenstreet, Crystal Whitaker, Stacy Fast, Dustin McGuirk, Denise Cartwright, and Erick McGuirk.